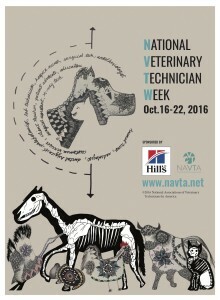 Matthew attended Bel-Rea Institute of Animal Technology in Denver CO and gradated in 2010. 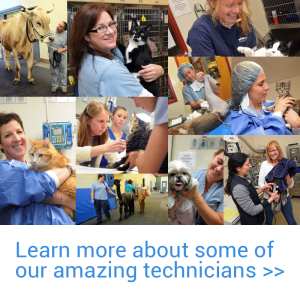 He came to the Foster Hospital for Small Animals at Cummings Veterinary Medical Center in January 2013, working as an anesthesia technician. Working for the busy Anesthesia Service, Matthew interacts with every specialty in the Foster Hospital. He enjoys the challenge, the continual change and the ability to learn in a fast-paced environment. 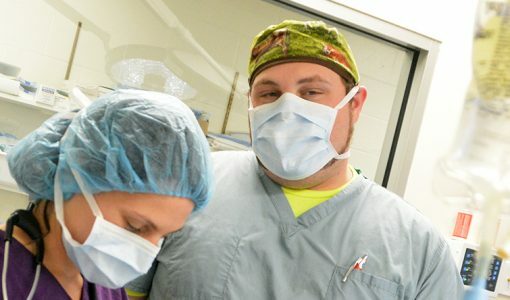 Working in the hospital not only allows for his own learning, it also allows him to pass on knowledge and information to the future veterinarians that Cummings School is training. He finds the teaching aspect of his position professionally enriching. Matthew thrives in an atmosphere that allows him the ability to help patients get better, whether it be elective procedures or emergency lifesaving procedures. When not at the hospital, he enjoys being outside and on the water. “My two favorite things to do are paddle boarding and kayaking.” He also enjoys hiking and camping and would like to travel throughout the US or other countries.